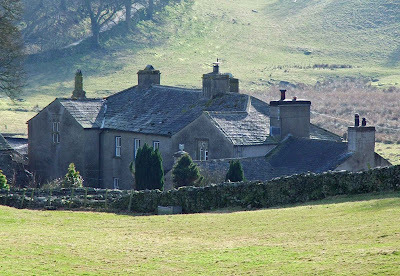 Selside Hall is situated about three miles outside of Kendal, between Watchgate and Garnett Bridge. The hall was built in 1540, on the site of an earlier house built in the late 1300’s. The earlier house is no longer visible, but the 15th and 16th century wings (sometimes interpreted as towers) are still visible, along with some 17th century additions. Above. A view of the North face of the Hall, from the church car park. The hall is described as a twin tower house, one tower of 15th century origins, the other of 16th century. Due to the relatively thin walls, the house has easily been transformed from a defensive building, to a house…..and it is for this reason that it is fairly difficult to see at first glimpse the history behind the property. Above. A view of the hall from the South West, looking towards the church. It is reputed that a room on the first floor of the hall, was at some time used as both an Anglican and a Catholic chapel, until the church, dedicated to St Thomas, was built. There are also mentions of priest holes hidden throughout the house. 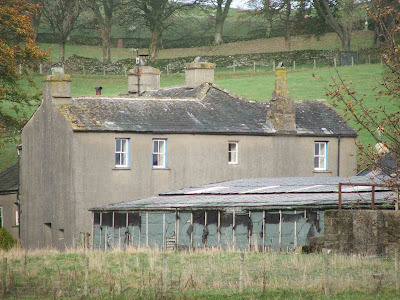 It is thought that the hall belonged to the Thornburgh family of Hampsfield in Cartmel, although it was probably built by the Selssed family. A staunchly Catholic family, the Thornburghs would have had good reason to have kept a secret chapel in the hall. The kitchen is now thought to occupy the room once dedicated to the chapel. Above. A close up of the South wing of the hall. 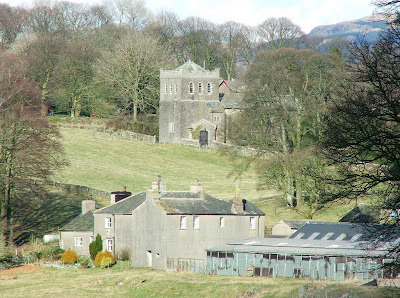 Several commentators now see this building as a simple hall with two cross wings...much the same as the Castle Dairy in Kendal...and no claim of fortification has ever been made of that building. As more information comes to light, it will be posted here.The hall can best be seen from the small car park opposite the church, as the road does not run directly past the hall.